To enter data, simply click on any cell and enter the values. Be sure to label your columns so you know what they represent. The first row of the table is usually dedicated to labels. 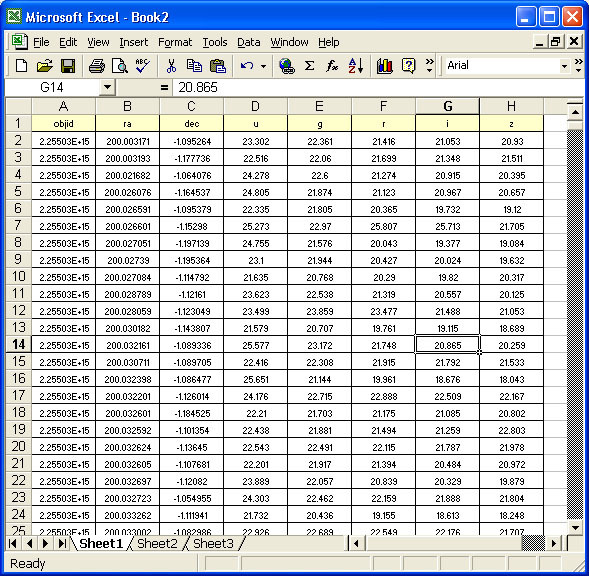 You can also cut and paste data into the table from another source such as a web page. First, select the data you want by highlighting it. 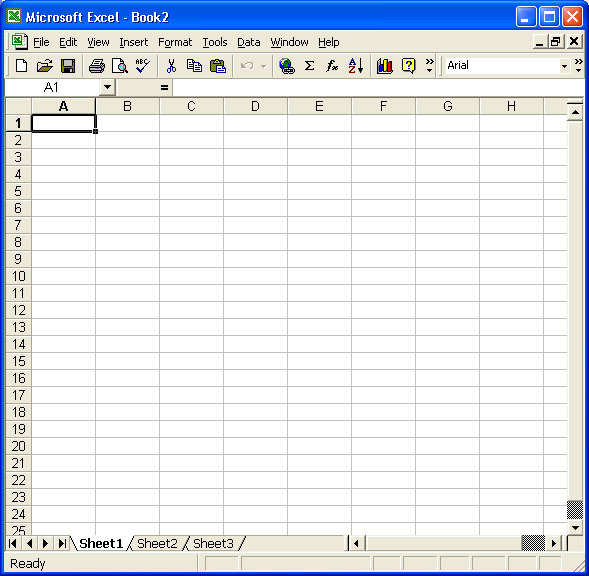 Copy the data to the clipboard by using Ctrl-c or by selecting copy under the Edit menu. In the spreadsheet, click on the cell where you want the top left entry of the data you copied to be placed. Paste the data by either using Ctrl-v or by selecting paste under the Edit menu. If you want to paste Object IDs from SkyServer into Excel, read this workaround to learn how to paste them properly.